OVER 2,500 tonnes of fuel laundering waste has been dumped in Northern Ireland’s countryside over the last two and a half years. The Detail has used new data released by the Northern Ireland Environment Agency (NIEA) to map out by council area where the waste has been dumped. The clean-up of waste dumped around fields and rivers has cost almost £1million since 2012 and is in addition to the money spent dismantling actual fuel plants. Responding to the figures obtained by The Detail, Environment Minister Mark H Durkan said: “I am absolutely horrified at the levels of fuel laundering waste dumped in our countryside. “This dumping poses a significant risk to the environment and to both human and animal health through potential contamination of our water supplies and local rivers. From June 2012 until the end of October 2014, 328 separate fuel laundering waste incidents have been dealt with by the NIEA. This involved removing 2,609 tonnes of fuel laundering waste that had been dumped. Cleaning-up dumped fuel waste cost almost £1million, which is in addition to the resources spent removing waste at the site of uncovered fuel plants. Newry and Mourne Council was the worst affected area with over 200 incidents recovering over one thousand tonnes of waste at a cost over half a million pounds to clean up. Armagh City Council was the second worst affected area with over one hundred incidents recovering over 500 tonnes of fuel laundering waste at a cost of a quarter of a million pounds to clean up. Since June 2012 the NIEA has been operating a flytipping partnership with 21 of Northern Ireland’s 26 councils as a way of addressing the fuel dumping problem. Five councils – including Belfast and Dungannon – are not represented. There were nine council areas that are part of the NIEA scheme where no fuel laundering waste had been dumped. 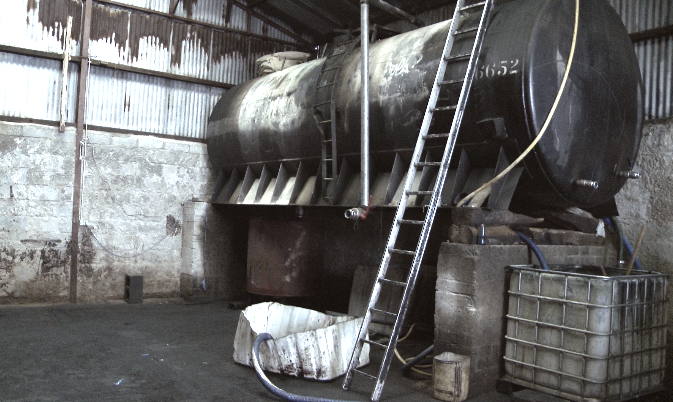 Over 200 fuel laundering plants have been raided in Northern Ireland over the past decade. A HMRC led cross-border Fuel Fraud Enforcement Group has recently been tasked with rolling out a new strategy to help deal with issues associated with fuel laundering on both sides of the border. The latest figures highlighted by The Detail come as MLAs at Stormont have voted to extend the National Crime Agency’s (NCA) powers to Northern Ireland. The NCA is a specialist unit which tackles major organised crime such as drug and people trafficking, but some politicians are calling for it to have a greater role in tackling fuel laundering when it becomes fully operational in Northern Ireland. In recent years the Department of Justice has faced criticism for the low number of people who have been convicted and received a jail sentence for fuel laundering related crimes here. New legislation came into effect at the end of last year that will allow the Director of Public Prosecutions to appeal sentences related to fuel laundering on the grounds of “undue leniency”. Department of Justice figures state that over 200 fuel laundering plants have been raided in Northern Ireland over the past decade. Meanwhile Her Majesty’s Revenue and Customs (HMRC) estimates that fuel fraud is taking up to £80million a year out of the local economy. The investigation of illegal fuel laundering in Northern Ireland is currently led by HMRC. However HMRC is only responsible for the recovery and disposal of toxic waste recovered at the site of a fuel laundering plant. According to the Department of Environment “the majority of fuel laundering waste is dumped indiscriminately in the countryside in Northern Ireland” and is therefore dealt with by the NIEA.